As stated in our Code of Conduct, we make no compromises to the detriment of the environment as we strive to increase the value of our company. All of our Business Units have rules that take environmental considerations into account in their manufacturing and service delivery processes. Environmental concerns also play an integral part in our innovation and product development projects. 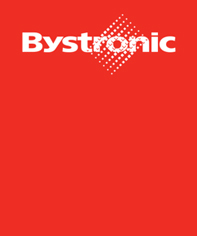 Bystronic offers two different technologies for sheet cutting. Fiber lasers are increasing in popularity because they are significantly more efficient than conventional CO2 lasers – the same amount of electricity produces three times the output. The main motor of the modern Xpert press brake is started only when the machine is actually being used. This means that the Xpert consumes up to 60 percent less electricity. Thanks to the Energy Saver, Bystronic Maschinenbau GmbH in Gotha was awarded the Blue Competence Label. Constructing parts, generating cutting plans and bending programs, planning and monitoring production processes. Costs can be reduced and waste avoided thanks to modern solutions whereby the raw materials are fully used and as many parts produced as technically feasible. The lifespan of machinery is extended by comprehensive training for customers, an extensive servicing network available to provide on-site maintenance services, the take-back of used machinery, its professional refurbishment and reuse for limited budgets. Mammut operates repair workshops where experienced specialists breathe new life into old or defective products, saving them from ending up in the recycling bin or landfill. These repair workshops thus play an important role in protecting the environment. Mammut is a partner of bluesign®, the most comprehensive standard for environmental protection in the textile industry. The bluesign® system excludes environmentally harmful substances from the production process at the outset, establishes guidelines and monitors compliance to ensure environmentally friendly and safe production processes. Conventional cotton cultivation usually involves a huge burden for humans and nature. For its apparel, Mammut therefore relies to a large extent on certified organic cotton to reduce this burden as much as possible. 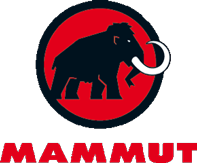 Instead of using new raw materials, Mammut makes use of fabric from recycled materials in some of its products. This reduces both waste and the environmental footprint – a win-win situation for our planet. Depending on the means of transport and its requirements, foams allow the purpose-specific design of various material properties. They are resource-efficient, suitable for lightweight constructions, easy to process and flame retardant. Customers in various industry sectors are making increasing demands of foams. They must be lightweight, fire retardant, anti-static, conductive, mechanically stable, odorless, emission-free, comfortable or durable. Industry standards developed in close cooperation with demanding manufacturers in the mattress, pillow and upholstered-furniture industries meet the highest ergonomic specifications, in some cases going beyond the legal requirements. FoamPartner’s locations meet all conditions and requirements for safe operation and the production of quality assured products, including the provisions governing the registration, evaluation and authorization of chemicals (REACH) and the restriction of hazardous substances (RoHS). Schmid Rhyner offers UV-curing coatings under the WESSCO® brand name. They count among the most eco-friendly technologies on the market. WESSCO® UV overprint coatings contain no volatile organic compounds or chlorinated polyphenyls. Schmid Rhyner’s GALACRYL® dispersion coatings for printed paper and cardboard consist of acrylates, water-soluble resins, additives and water. They dry through evaporation of the water. With its patented digital varnishing technology, Schmid Rhyner has opened up new dimensions for the tactile sensation of print products and has made purpose-made embossing dies redundant. Environmental sustainability, aesthetics and functionality that meet the most exacting requirements. Comprehensive and standardized testing serves to continually improve the health and environmental compatibility of processes, raw material and products. All legal and regulatory requirements are met, as well as additional quality assurance standards. Bystronic glass consumes up to seven times less energy by using hydraulic and electric drives instead of pneumatic systems. 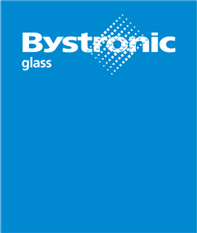 This has a direct impact on energy efficiency at Bystronic glass’s production plants, which in turn helps the environment. If there is no glass to be washed in the washing machine during the production of insulating glass, the ventilation flaps of the blower close. The result: an energy saving of 25%. Water consumption in the production of insulating glass has also been reduced up to 15 times. This has been achieved by using a closed water circuit with a disc filter system. During deceleration at the drives of the automotive glass plants, kinetic energy is converted into electrical energy and fed back into the grid. This produces energy savings of up to 20%.